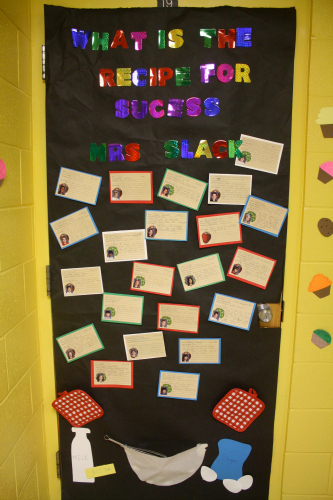 This week is teacher appreciation week and today I’m sharing with you the class door idea that I did last night. The PTA theme this week was The Hollywood Walk of Fame week so I stuck with the Hollywood theme for her door. Hollywood theme door – I found all the fun Hollywood stuff at Party Max. up close shots of the door and decorations – each student was on a gold star and then we had different Hollywood theme pictures. I put on the envelope the teachers name. Need some more inspiration for Teacher Appreciation check out my round up below. 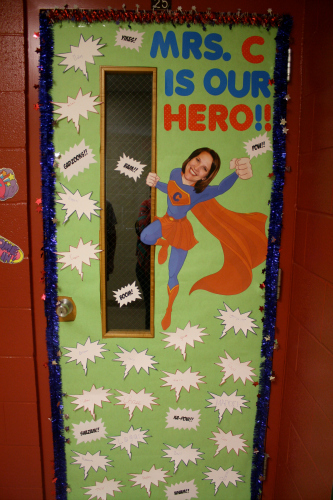 Here are some other cute Teacher Appreciation Door ideas! Click here for more door ideas. How cute are the pinterest themed door! 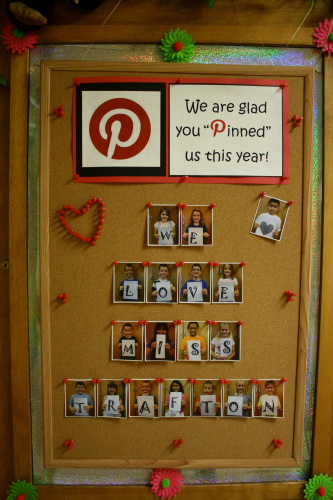 Super cute idea especially for a teacher that is addicted pinterest! How cute is the recipe card door! What a cute idea! I love the App door!